18 Feb: If you drop by this blog often enough, you know I have a massive sweet tooth. And you also probably know where I love to go for my sweets. (Answer: not Angelina, even if they are quite good, but my true loyalty lies elsewhere.) 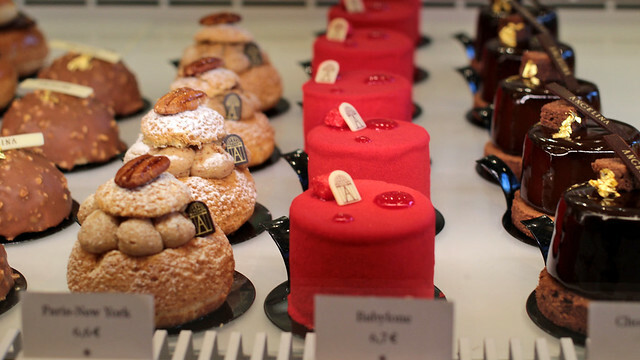 There is no shortage of pastry options in Paris, or in France for that matter. It’s a miracle that I haven’t yet bankrupted myself or put on a good few kilos. Then again, perhaps adopting the motto of reasonableness helps. Indulge often, but in small quantities, and from time to time. Too much something is just not very good for anyone at all. 19 Feb: Walking around and finding “new” things inevitably makes me happy. 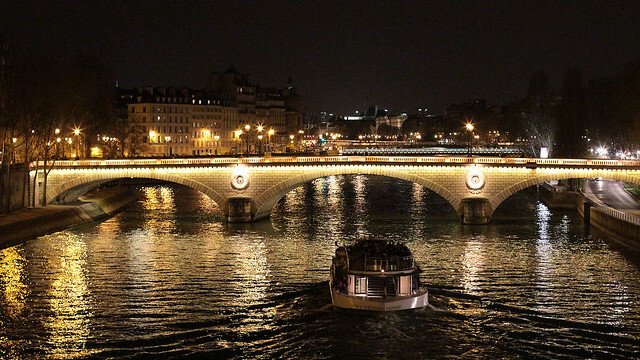 It is difficult to be bored in Paris if you just look around a bit more. Even regular routes that I take day in, day out, still hold their own secrets, waiting to be discovered. 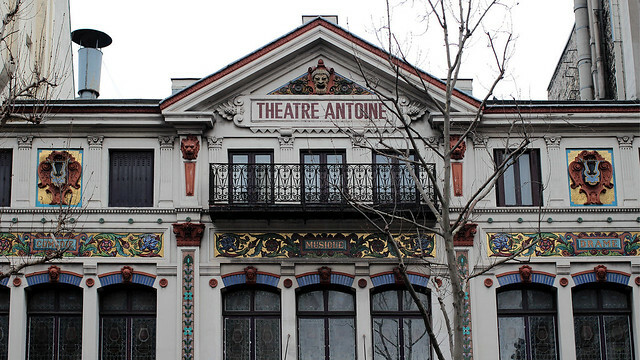 Just like this theatre, nestled in between undescriptive buildings and semi-covered by trees in warmer months. It is quite by chance that I’m here in the winter, and the naked trees fail to hide it this time round. 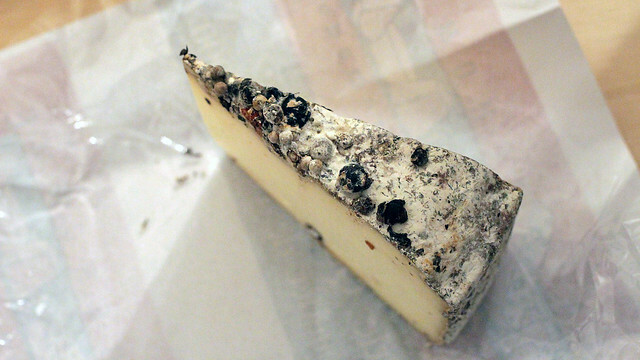 20 Feb: Do you know just how many cheeses there are in France? I don’t know the exact number but it runs in the hundreds. Some says 400, some says 500. Either way, just walking into any cheese shop and I’m at lost at which to choose. I am truly thankful that I still don’t know and need to try many of them, but there’s a limit to how many we can buy each time, given correctly matured cheeses are not always cheap, and because they are sold at their prime, it would be unjustifiable to not give them the deserved attention. A happy dilemma, no? 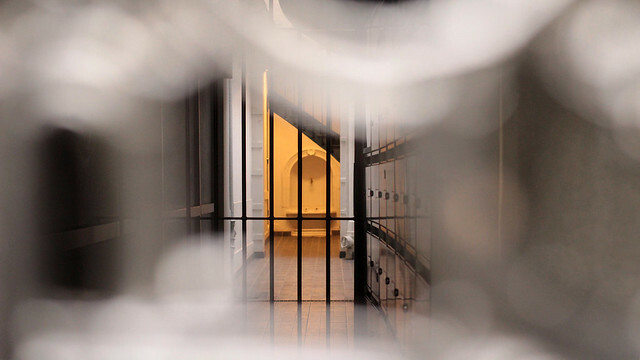 22 Feb: You cannot live in Paris and not be curious about what’s hidden behind closed doors. I have lost count of the number of times when I peer curiously into an opened building door that’s normally tightly shut, and see amazing little gardens, private courtyards, sculptures and even an entire (small) street! Talk about being discreet and not flaunting their wealth, something the French are very good at. And each time I manage to uncover one, my inner self jumps with joy! 23 Feb: Forget about the museums and galleries, and just look around. 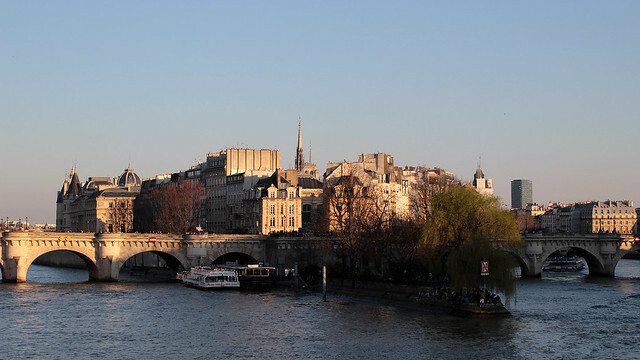 Paris is a big, open museum and gallery. There are amazing work of arts everywhere, from mural paintings to classical sculptures to brilliant mosaics to modern street art. It makes me happy that arts can be democratised this way, making them accessible to all who seek them out. 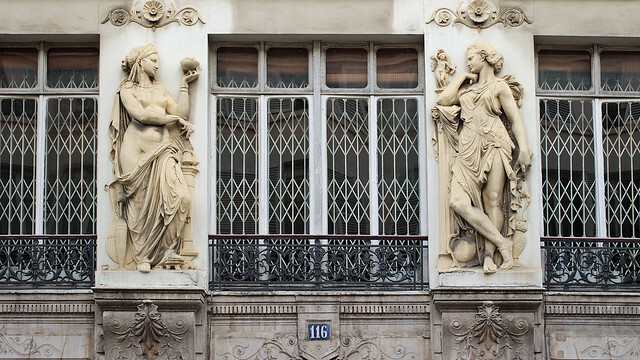 We’ve even recently got a book on Parisian architectures so we can start to identify better the different façades and the story behind them – absolutely marvelous buy.